A full colour cotton bag available with 16 different stitching, binding and handle colours. Looking for a way to get your design to really stand out? 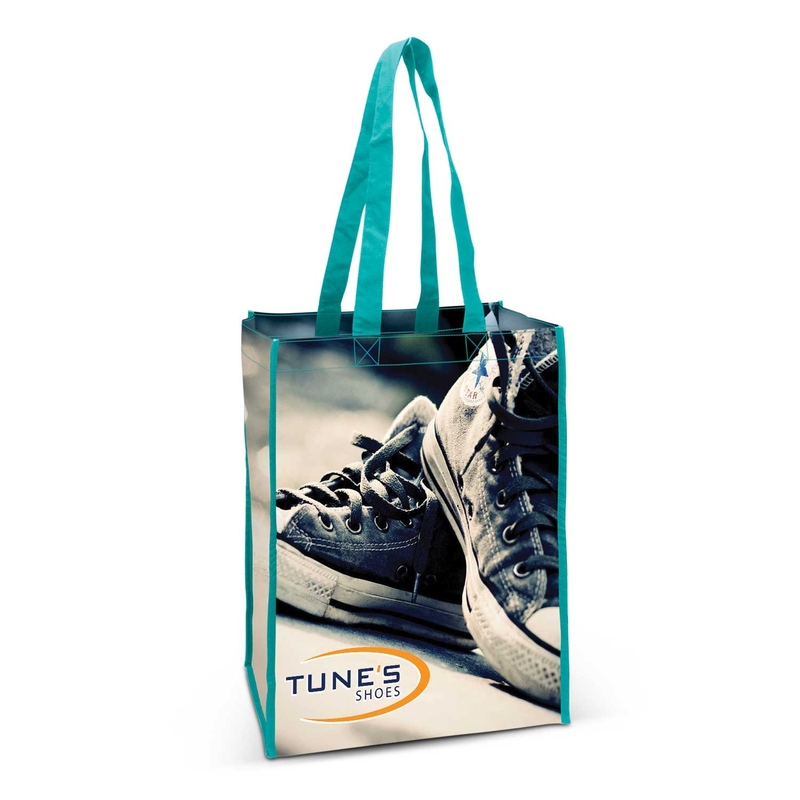 These 140gsm Cotton tote bags do the trick! They feature a large gusset as well as binding on the edges for added strength. 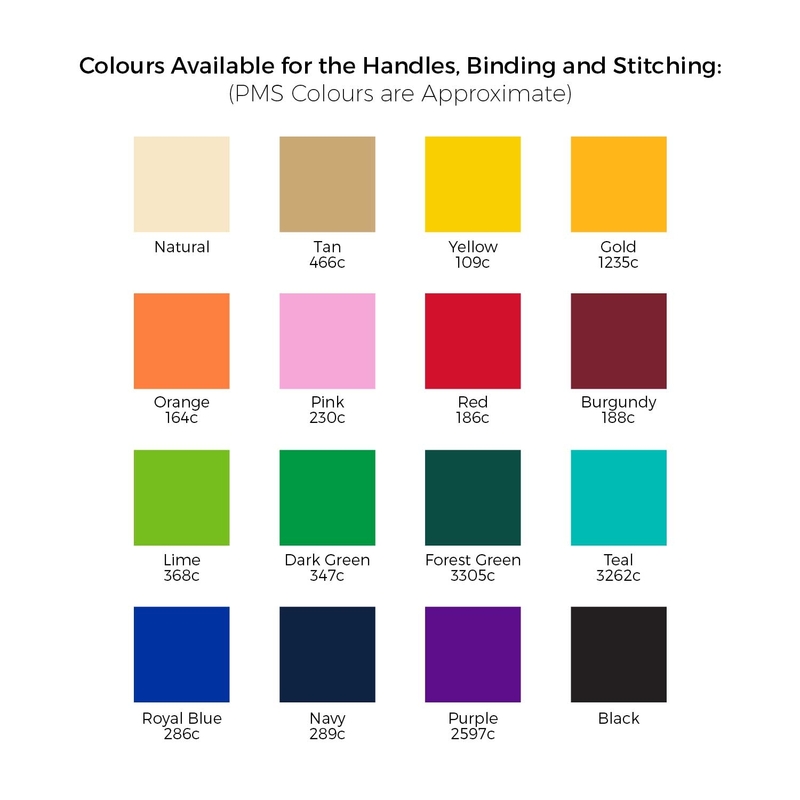 We an also supply you with the binding and stitching in 16 different colours! Your design is also printed in unlimited full colour on a huge decoration area. Get in touch with us today to create a design that you will love! Maximum decoration area, even on the base!